The Government’s target of building 300,000 new homes a year in England is under threat with a new forecast suggesting it will be some way short of fulfilling the aim. The latest house building forecasts published by the Office for Budget Responsibility (OBR) after last week’s Budget indicates that an additional 233,430 homes would be added to the housing stock in 2017/2018 and that this would increase over the next five years to an average of 249,282 homes a year. The OBR does not forecast as far as the mid 2020s, but it predicts no major increase beyond 250,000 in the next five years, well below the number needed to meet the much flaunted target of 300,000 a year. The OBR also gave its verdict on the recently announced decision to scrap the cap on the amount councils can borrow against their housing revenue accounts to build new homes in the social housing sector. 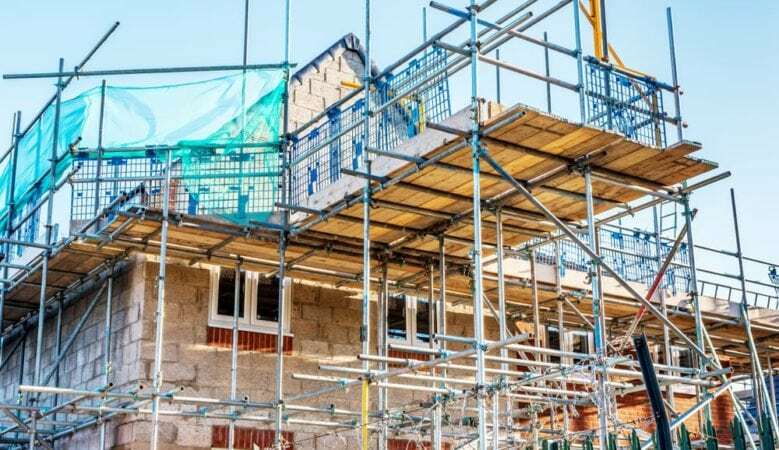 The Government announced the policy as a way of reviving council housebuilding, and consultancy Savills estimated that local authorities could use it to build some 15,000 homes a year. However, according to the OBR this is more likely to be around 9,000 a year. ‘While there has been some recovery in the pace of housing starts in recent years, it is difficult to distinguish the effect of changes in the planning system from the more general recovery in housing market activity and housing starts remain below their pre-2008 levels,’ the OBR said. ‘Given this, we have not made any further adjustments to our forecasts at this stage. We will keep these judgements under review as the policies are delivered and new evidence becomes available,’ it added. However, other figures indicate that house building is picking up. Patrick Gower, a research associate at real estate firm Knight Frank, pointed out that new data from the Ministry of Housing, Communities and Local Government (MHCLG) shows that the number of energy performance certificates is rising and this is an effective indictor of new housing supply. The figures show that certificates allocated to new homes reached 231,317 during the 12 months to the third quarter of 2018. This figure is up 2.3% from the 226,088 allocated during the 12 months to the second quarter of the year. ‘The Government will be encouraged by today’s data on Energy Performance Certificates allocated to new homes, which rose to its highest level in a decade,’ said Gower. ‘The house building industry, despite rising economic uncertainty ahead of Britain’s European Union departure, continues to operate in a favourable policy environment. The extension of the Help to Buy Equity Loan scheme to 2023, announced in the Budget, will give developers the confidence to push on with new projects,’ he added. Other policies announced in the Budget could also boost home building. According to Richard Godmon, tax partner at accountancy firm Menzies LLP, the £500 million housing infrastructure budget to fund the build of 650,000 new homes and a further £1 billion British Business Bank Guarantees to support the revival of small and medium sized builders will have a positive effect. ‘This is good news for SME house builders as they have been overlooked in the past and they have been finding it difficult to compete with larger scale developers to secure the upfront finance needed to get schemes underway,’ he said. Brian Berry, chief executive of the Federation of Master Builders, said that the £675 million Future High Streets Fund to allow councils to rejuvenate town centres could boost the number of homes coming onto the market through change of use. ‘It is estimated that as many as 300,000 to 400,000 new homes alone could be created by making use of empty spaces above shops on our high streets. This is space just waiting to be turned into residential accommodation,’ he explained. ‘We would urge councils to take this opportunity to look again at how they can work with local builders and developers to make better use of existing town centre building, and facilitate the development of wasted space above shops,’ he added. ‘This will both boost the supply of new homes and help breathe new life back into our high streets. What we must avoid is perfectly good space lying empty and achieving nothing in terms of boosting the local economy or housing,’ he said. He also pointed out that the British Business Bank, working with Homes England, will allow many small scale house builders who experience real difficulty in accessing the finance they need to build homes. ‘It is often the smallest scale builders that experience the greatest problems. This new funding will help to speed up the delivery of homes and lead to a more diverse and resilient housing supply,’ he concluded.